The government accuses the Muslim leaders of promoting radical Islamism and Turkish nationalism. The 2015 Islam law will banned foreign funding of mosques. 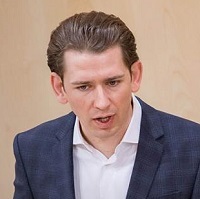 Austria’s Chancellor Sebastian Kurz has announced his government is taking inititatives to fight “political Islam” and stem the foreign finances of Islamism. Six mosques of the group Arab Religious Community will be closed because of their radical Islamist teachings, and a “hardline Turkish nationalist” mosque in Vienna is going to be shut down because if its promotion of Turkish nationalism. “Around 60 imams” are to be expelled from the country, said the Interior Minister Herbert Kickl in a press conference, and 150 more relatives could lose their right to stay in Austria as well. Kurz said the investigation started as images emerged of young boys wearing Turkish uniforms marching, saluting and waving Turkish flags. “There is no space in our country for parallel societies, political Islam and radical tendencies”, he said. The Chancellor’s conservative VPÖ party is in coalition with far right anti-immigration ÖFP. The Turkish government immediately reacted to the initiative of the Austrian government calling it “racist”, “anti-Islam”, “populist” and “discriminatory”. In 2015, the Austrian government banned the foreign financing of mosques and required all imams to be able to speak German. The aim was to promote an “Islam of European character”. Inn 2017, the government also banned the full face veil in public spaces, also known as ‘niqab’. There are approximately half a million Muslims in Austria, about 6% of the population.